China Smartphone manufacturer BYLYND has launched its new smartphone BYLYND Q65 in China. Talk about the cost of this phone so only Rs 2,499 has been kept. Perhaps it will be the first such phone in the world, in spite of having 3GB of RAM, how much is its price. According to the report, there is no plan to launch this phone in India. Or the smart phone is just launched in China. If talk about the specialty of this phone, its biggest feature is that the 5.0-inch display, 3GB RAM and 4300mAh long battery has been provided at such a low price. And the design of this phone is also quite thin and premium, which you can see in pictures. 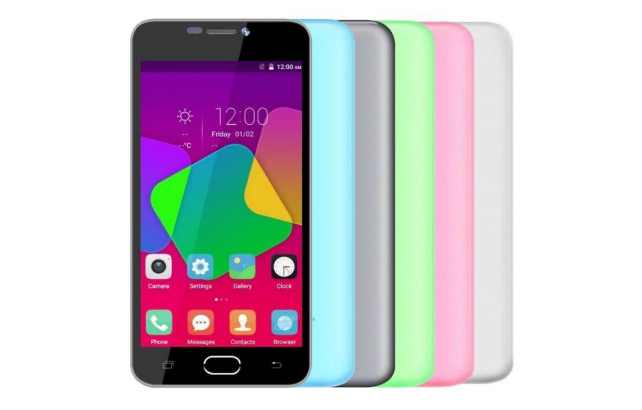 This phone has a 5.0 inch display, which has a resolution of 1280 × 720 pixels. Talk about the performance of the Quad-Core 1.3 GHz MediaTek MTK6737 processor in it. With Android Marshmallo 6.0, 3GB RAM and 16 GB internal storage, which can extend upto 64 GB via microSD card, talk about the camera, it has a 8.0 megapixel dual rear camera and 5.0 megapixel dual front facing camera. It has 4300mAh long battery. This phone has 4G LTE, WiFi, GPS, Bluetooth, 3.5mm audio jack, etc. Connectivity has been given.